Many iPhone users have complained about several Wi-Fi issues after upgrading to iOS 11/11.1/11.2/11.3. One of the common Wi-Fi issues faced by iPhone users is Wi-Fi keeps dropping. If you are facing a similar problem, read this post as it offers several solutions to fix the issue in a few minutes. We have provided five different solutions that would fix the issue. You don’t have to try all the solutions. The best approach would be to start with the first solution. If the first solution does not work, move to the next solution and so on. We are confident that one of the listed solutions would definitely work for you. There is a possibility that there is nothing wrong with your iPhone and the problem is with your Wi-Fi device/router. The first thing you need to do is ensure the iPhone is within range of the Wi-Fi network. A typical router with the antenna has a range of 50 meters, but that is reduced by obstacles like walls and other solid things. 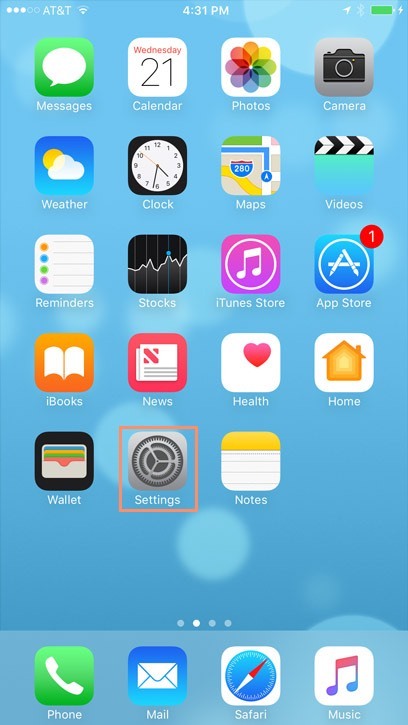 Make sure your iPhone is within network range and your iPhone shows good Wi-Fi signal strength. Also, check if other devices are facing similar Wi-Fi issues. If you notice similar Wi-Fi connectivity problems with other devices as well, you can draw a conclusion that Wi-Fi device is to be blamed. Restart your router and see if the problem is resolved. If Wi-Fi connectivity issues exist, refer router documentation to troubleshoot your Wi-Fi device for connectivity issues. You might be required to contact router manufacturer or ISP to fix any hardware or network issues that you can’t fix by yourself. 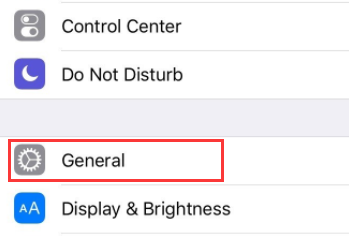 iPhone remembers login and network information so that your iPhone can automatically connect to Wi-Fi network whenever it is in the network range. However, for this feature to work, the Auto-Join option must be enabled for that specific Wi-Fi network. Here are the steps you need to follow. Check whether this option works for you by taking your iPhone out of network range and again bringing it in network range. If the Auto-Join feature does not work for you, go to next solution. Whenever your iPhone connects to a Wi-Fi network, a small handshake is performed and the iPhone stores information of the Wi-Fi network that is used for auto-join or connecting to the network in the future. There is a possibility the handshake has become corrupted in some way which might be the main cause of the “iPhone keeps disconnecting from Wi-Fi” issue. One of the ways to fix this Wi-Fi connection issue is using the “Forget this network” option. When you try to reconnect to a forgotten network, a fresh handshake will be initiated which could resolve the Wi-Fi issue. Here are the steps to follow. 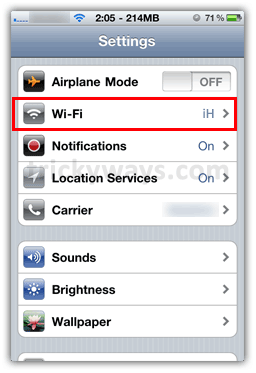 Check whether the iPhone keeps disconnecting from Wi-Fi issue is resolved. If it persists, try next solution. IP address conflicts are also known to cause issues like “iPhone keeps disconnecting from Wi-Fi”. If the wireless router finds two devices with the same IP address on its network, it will be too confused about to manage these devices on the network. To resolve the issue, the router might forcibly disconnect one of the wireless devices from the network. The “Renew Lease” option in Wi-Fi is a perfect solution to deal with such a problem. 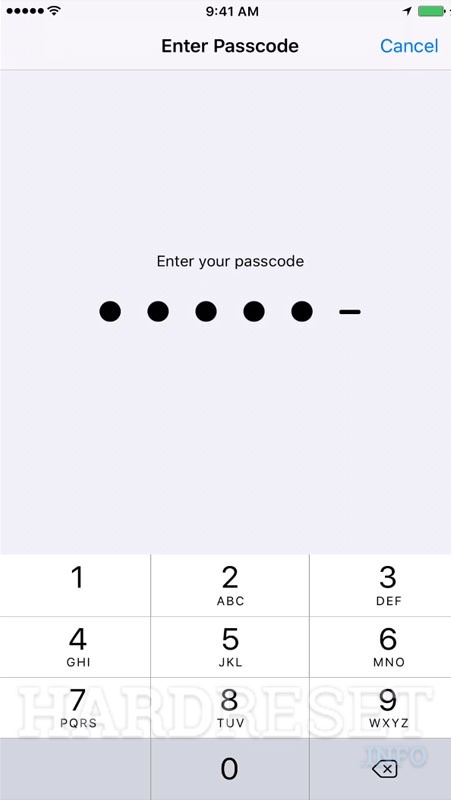 When you use the “Renew Lease” option, the iPhone will disconnect from the network which will release the conflicting IP address. It will then try to connect with the Wi-Fi network through new IP address given by the router. Here are the steps to renew DHCP lease. Tap blue colored Renew Lease button that appears at the bottom of the Settings pane. After your iPhone is connected, try Internet browsing and check whether the Wi-Fi connection is dropped after some time. If the issue still persists, try next solution. 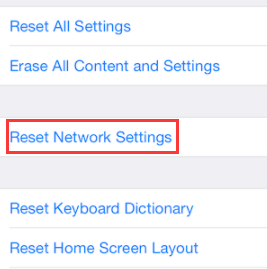 Resetting Network settings on your iPhone means clearing all information related to network connections. It includes deleting all saved networks, erasing login and password information for various networks. 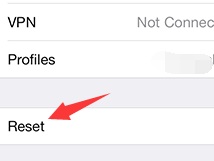 The Network settings reset option will also erase any VPN related settings on your iPhone. One good thing about this solution is it would erase any corrupted network information and settings from your iPhone that might be left even after performing solutions above. After this step, all your network connections will be established from scratch. Here are the steps you need to follow. Wait for the reset process to complete. Check whether the “iPhone keeps disconnecting from Wi-Fi” issue is resolved.